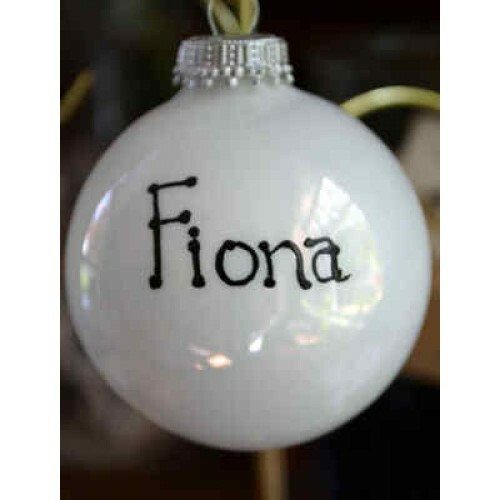 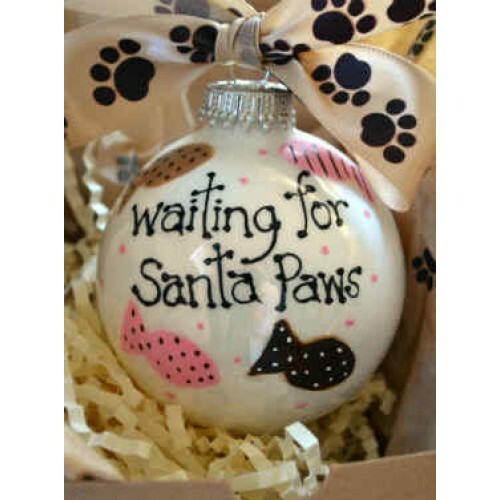 Adorn your tree with this adorable 2-1/2" glass ornament to display your pet's excitement and anticipation for Old Jolly bringing treats! 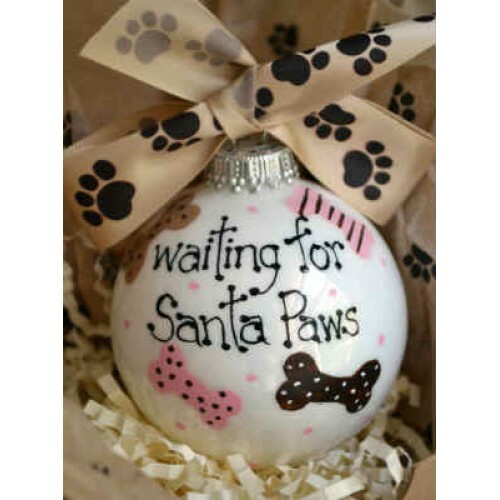 Choice of pink and beige dog biscuit or pink and beige fish treats or red and green dog biscuits or red and green fish treats. May be personalized with pet's name on back. 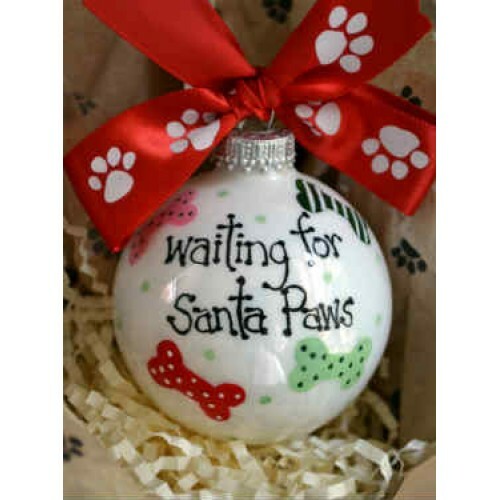 20% will be donated to the Bridgeport Animal Control to help brighten the lives of those who can't find homes for Christmas.